Huawei has enjoyed enormous success with its flagship P20 Pro, which introduced a triple-camera system for better low-light photographs and 3x optical zoom. 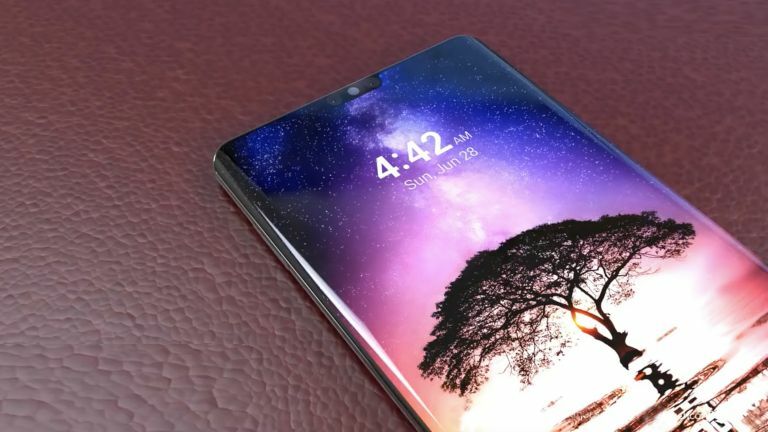 For the follow-up, the Shenzhen-based company could look to shrink the notch, and relocate the fingerprint reader beneath the glass display, as this new concept shows. The footage comes courtesy of industry designer TechConfigurations, who produces product videos of unannounced devices based on industry rumours and leaks. In the video, the forthcoming flagship smartphone has a significantly smaller notch – barely wide enough to contain the dual front-facing camera system, which couples a 12-megapixel and 8-megapixel lens, both with Optical Image Stabilisation (OIS). If the svelte new notch on the P30 Pro looks at all familiar, that's likely because the latest leaked images of the Huawei Mate 20 suggest it will include an identical design when it's announced later this month. On the other side of the Huawei P30 Pro, there is a triple-camera set-up similar to the one introduced with the P20 Pro earlier this year. This will include a 40-megapixel primary sensor, combined with 22- and 12-megapixel cameras, too. Elsewhere, the latest Huawei boasts a very generous 6.3-inch Quad HD AMOLED display – a step-up from the 6.1-inch screen found on P20 Pro. The bezels around the edge of the 19.5:9 display are curved to keep the physical footprint of the phone small enough to fit in your pocket, despite the supersized screen. Huawei is also tipped to follow OnePlus' lead and embed the fingerprint scanner beneath the glass display to save space on the front of the handset. We'll have to wait until next year to see the final P30 Pro design, but if Huawei's next-generation flagship looks anything like the smartphone in this video, then could certainly give Samsung's folding Galaxy X a run for its money.